The alias Desmond is Amazing is an accurate representation of drag kid Desmond Napoles. Though only 11 years old, Desmond has cemented his place in drag, not only as a queen, but also as a model, speaker, designer, and LGBTQ+ advocate. He’s appeared in music videos, on the catwalk at NYFW, and in numerous magazines including Vogue and OUT. Behind Desmond’s on-the-rise career is his supportive mom Wendy, who acts as Desmond’s manager. I spoke to Desmond and Wendy in Brooklyn about the story behind Desmond is Amazing. Lithium Magazine: How old were you when you began doing drag? Desmond: I was about two years old when I started doing drag. Well actually, it’s kind of funny, because when I watched the first episode of RuPaul’s Drag Race, my mom was watching it, and basically, I stopped playing with my toys and I started watching it. And that’s when it all started, because I thought they were so beautiful. 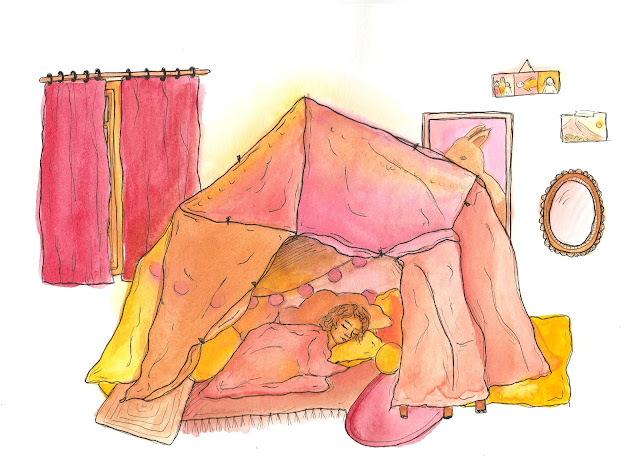 I would take whatever I could get my hands on—towels, bed sheets, my mom’s heels, etc. Wendy: Yes, you still steal those. Lithium: Is there a specific drag queen that stood out to you the most? Desmond: I liked all of them. Wendy: You really liked Tammy Brown from season one, but mostly you were focused on RuPaul, like me. Lithium: Wendy, what was your response when Desmond said he wanted to do drag? Desmond: Don’t discourage it, but don’t encourage it! Wendy: “—Just let it happen naturally.” We did that and he just kept going on with the interest. It’s been his number one interest for a very long time. After a while, we realized it wasn’t a phase and it wasn’t hurting anybody. It was what he enjoyed doing. Lithium: Can you describe the first time you performed in drag? Wendy: It was Jinkx Monsoon’s music video. Lithium: Where do you find the confidence to perform in drag? Desmond: I think it’s just my natural born talent. Lithium: Do you ever get nervous when you perform? Wendy: You do right beforehand. You say “I can’t do this, I can’t do this, I can’t do this,” and then you go out there and as soon as you go out there you’re fine. Desmond: Ashley. Now you tell your part. Wendy: My friend Ashley created a Facebook fan page, and the reason was that if Desmond ever had any self-doubt, that he could look back at the page, and be like “Oh, I’m amazing.” She called it Desmond is Amazing, just as a kind of encouragement thing. People would leave him messages, and he’d post things. Somewhere along the way it just stuck. I can’t remember when you started going by Desmond is Amazing. Lithium: How would you describe your drag style? Desmond: I like looking avant-garde, club kid, and colorful. Lithium: Who are your drag inspirations? Desmond: My mom. And RuPaul. I met him at DragCon NYC. Lithium: How did you celebrate Pride Month? Desmond: I marched in the Pride March. Wendy: You did a lot of stuff during Pride. Desmond: Yeah, and it was mostly because you were the booking agent. Wendy: I was. He spoke for the NYC Commission for Human Rights, he performed at an event for ACS—they have a Pride event at one of their foster homes. He performed at Upright Citizens Brigade, NYC Pride’s youth event, NYC Pride’s PrideFest, the Phluid Project, and he spoke at the Teen Vogue Summit. Desmond: I went to Georgia. Wendy: Yes, you went to Georgia to film. Lithium: What made you want to share your drag on social media? Desmond: This is more of a question for my mom, because it was after the Legacy Ball. Wendy: Last year, early June, we were at the Legacy Ball at one of the Brooklyn Museum’s free Saturdays. He had walked in the Ball and he made it through the first round, and then was cut in the second. The next day he was picked up by the House of UltraOmni and started gaining some exposure from that, and people kept asking us “Why doesn’t he have an Instagram? Why doesn’t he have a Twitter? Why does he only have a Facebook? We want to see pictures!” So we thought, yeah, maybe we could put up an Instagram and have pictures on there. Desmond: My first ever picture got 121 likes. Wendy: Now it’s just shocking that within an hour his photos get a thousand likes. It’s very weird, but at the same time we’re grateful because we know those are people he’s reached out to and he’s inspiring. It’s a very a visual experience for them. And also for him. He’s sharing his art and his point of view. It’s a win-win situation for everyone, I guess. Lithium: How do you cope with hate on social media from people who oppose you doing drag? Wendy: When he first went viral in 2015, we got hate of course, but it wasn’t like the hate today. Today it’s gotten more violent. Wendy: That’s the only thing I can think of that’s changed. Because we have a president now that is verbally racist and homophobic and says hateful things all day long, I think people think that if our leader can do it, we can do it, and besides, we’re anonymous on the internet. So they’ve gotten a lot more violent and sometimes that scares me. Wendy: Sometimes we’re in public and I wonder, if people recognize me, are they going to confront me? Because they’re making such bold statements. And you just don’t know. But I go through a couple times a day and check everything and report, block, delete. 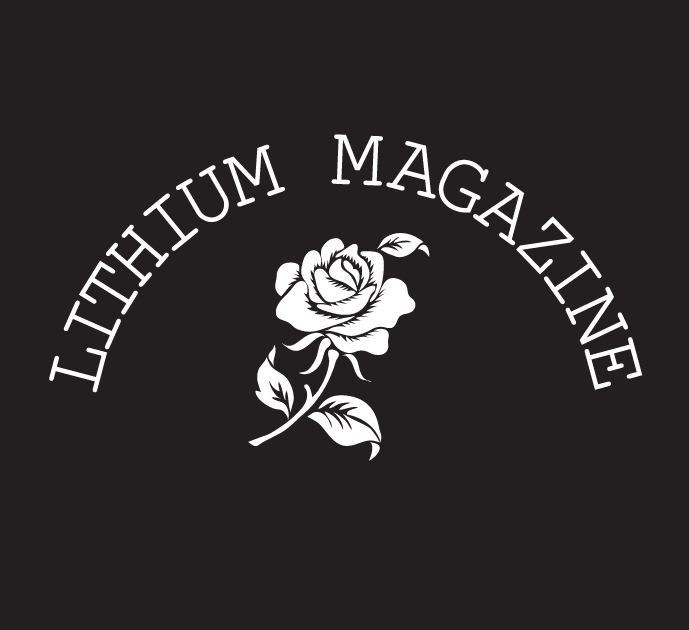 Lithium: Do you have any upcoming appearances or shows our followers can look out for? Wendy: No, not at this time. We’re kind of taking a break for a couple weeks here. Wendy: For summer! Don’t you want to kick back and go to the beach? Relax before you have to go back to school? Lithium: Do you have any final advice for kids looking to do drag, or simply individuals who want to be more confident with their own identity? Desmond: I would tell other kids to be themselves always no matter what anyone says and to pay the haters no mind. You can see more of Desmond on his Instagram, YouTube, and website.